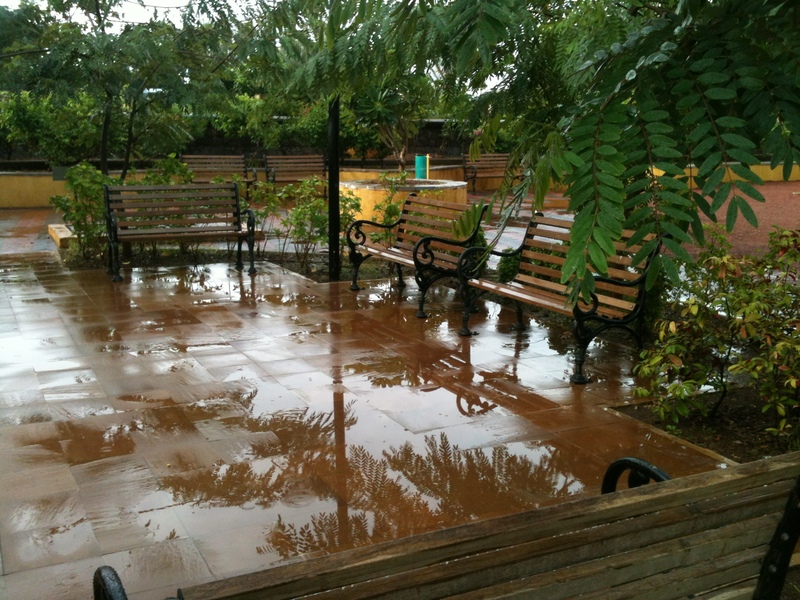 The Joseph Baptista Garden is also popularly known as Mazgaon Garden. The word Mazgaon is derived from Sanskrit which means Matsya Gram. This locality was habited by fishing community in the ancient times. 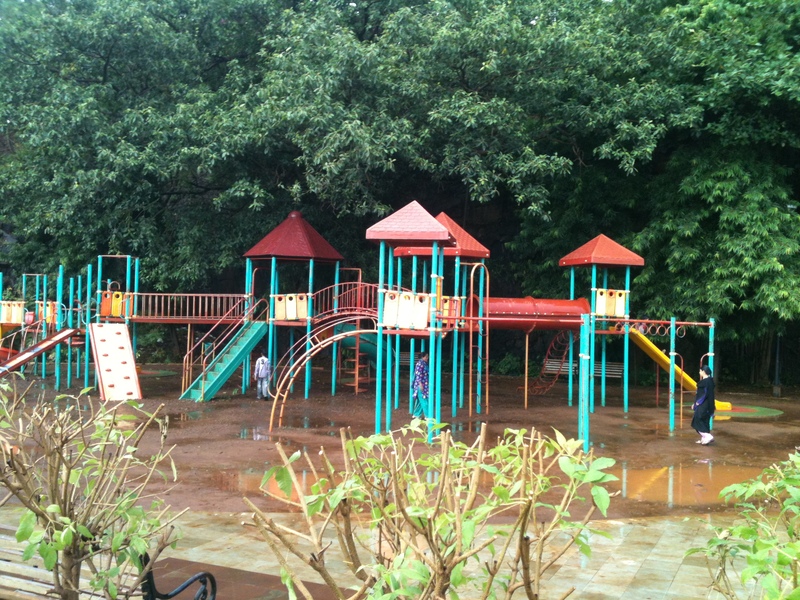 It is approximately one and a half acres in area and is spread out on top of the Bhandarwada hill. 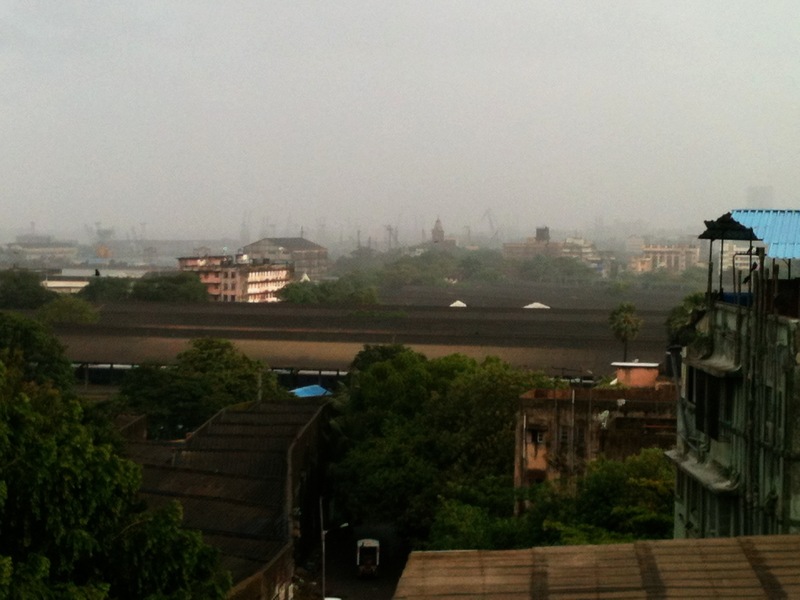 Being located atop a hill offers an excellent view of the Mumbai harbour. A sight worth seeing, far distant the ships are parked and several hundreds of cranes are erected on them. In the blue gray hue the skeletons of hangars imitates the scene of a 1880s industry that is busy churning to keep its people alive. This misty skyline partly polluted reminds me of Gotham City from the Batman movies. Dockyard railway station is the closest to the garden. 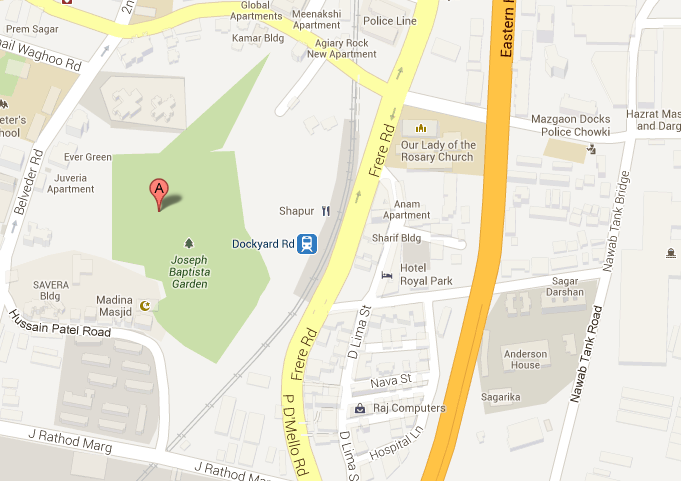 You could also hop on the new Eastern Freeway which will take you right to the doorstep of this place. There is a lot of history behind this garden in its name and how its utility has evolved over the years. What we know as Mazgaon today was part of the seven islands that made this city. When the British arrived here in the 1660s they chose the Bhandarwada hill with its basalt rock characteristic to build what was known as the Mazgaon fort. 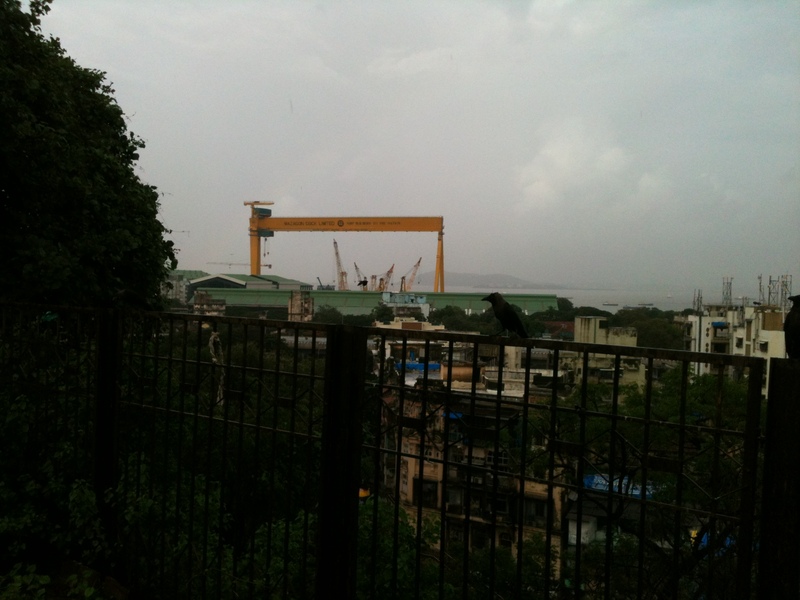 They built such forts all across the islands at Mahim, Sion, Sewri etc. Mazgaon fort was soon destroyed by Yakut Khan in 1690 as a part of retaliation against the increasing powers of the British. 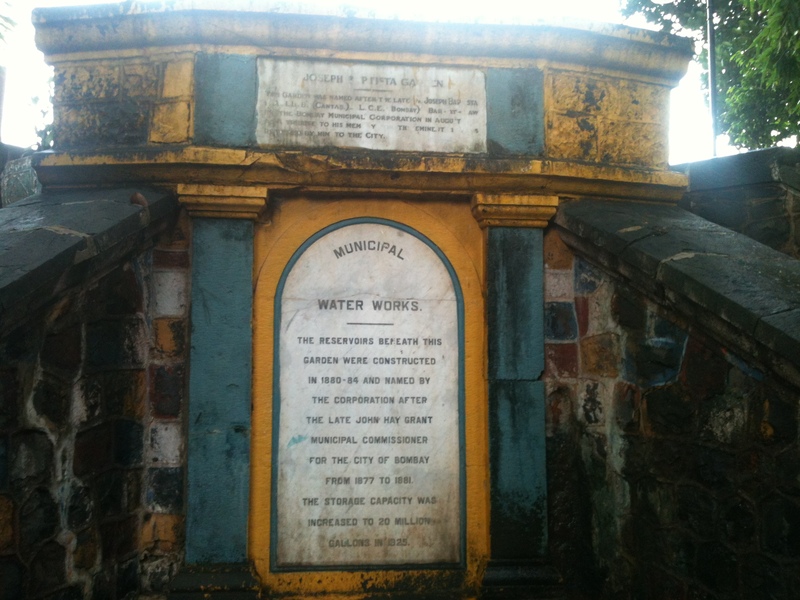 Then in 1884, the Municipal Corporation of Bombay built several underground water reservoirs to address the issue of shortage of water to Central and South of Bombay. So Bhandarwada hill served an apt location for this purpose. 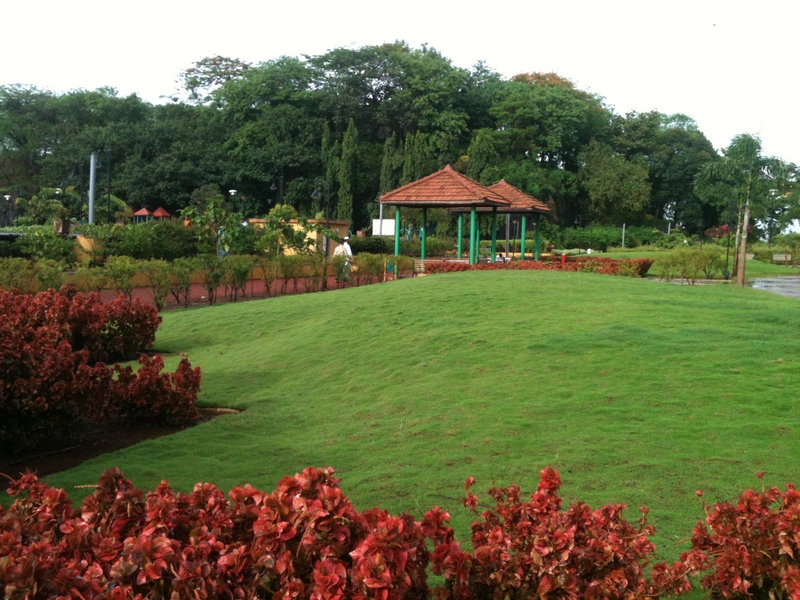 A park was built on the reservoir and was named after John Hay Grant, who then was the Municipal Commissioner of Bombay. 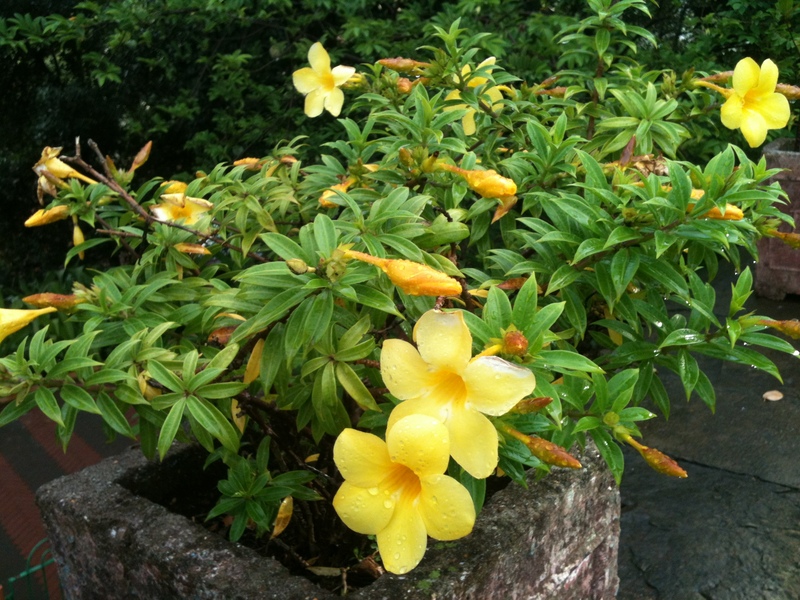 Soon after the independence the garden was renamed as The Joseph Baptista Gardens. 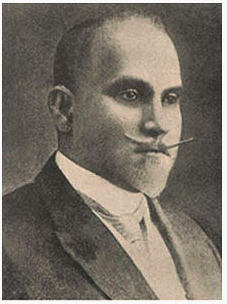 Joseph Baptista was an Indian politician and freedom activist. 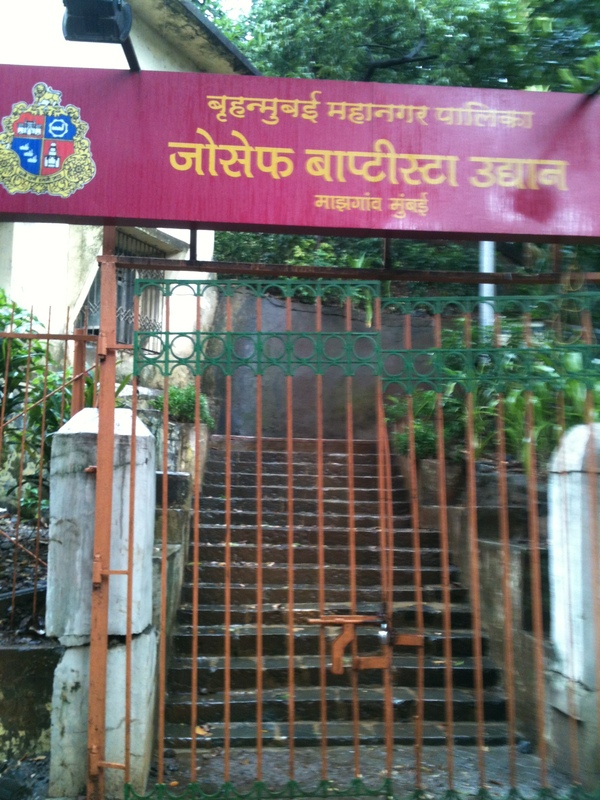 He served as the Mayor of Bombay in 1925 and was given the title as “Kaka” meaning Uncle. He was a very close associate to Balgangadhar Tilak and is also known to have coined the phrase “Swaraj is my birthright” which Tilak propagated widely. I used to always wonder about the names on various roads and gardens and national monuments. They are just thrown at the public and we assimilated them without indulgence. Now about the garden itself as it stands today. 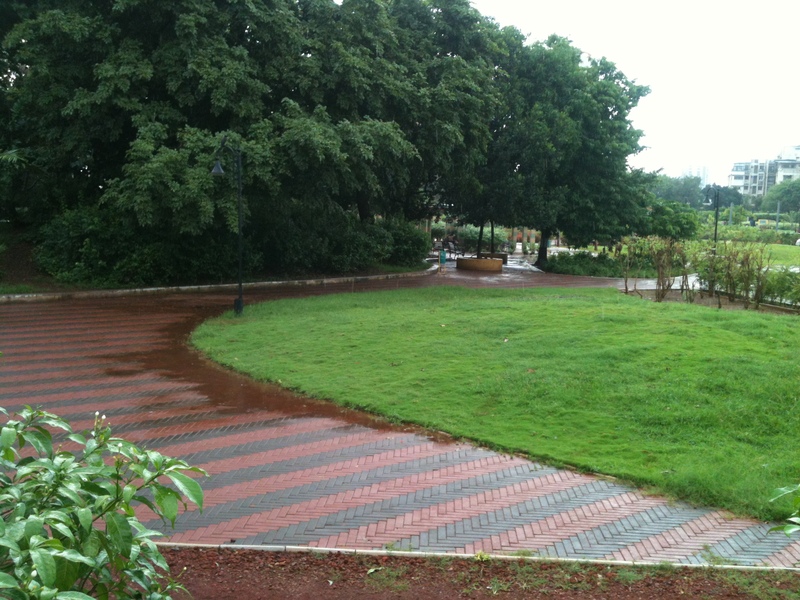 It was renovated recently and sports nice pavements and lawns. 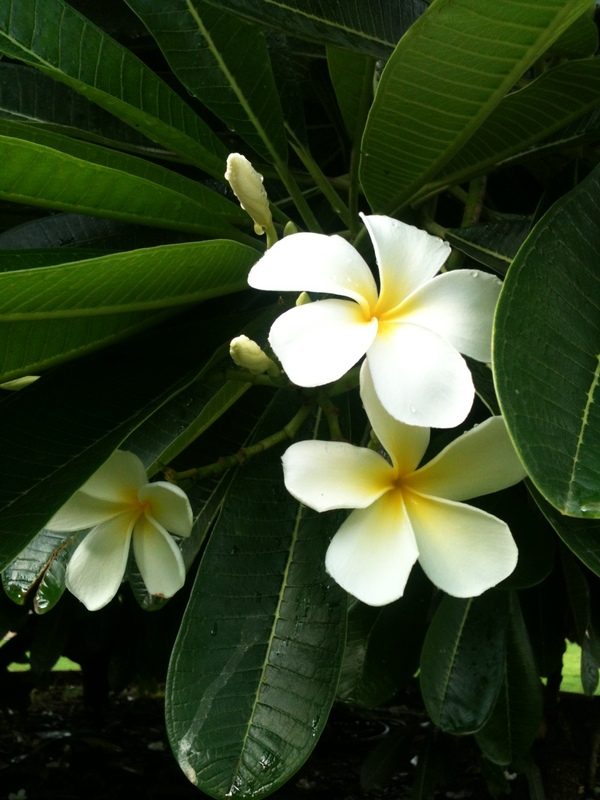 The garden is flush with musanda, bouganvillae, periwinkle, champa and a variety of seasonal flowers. The pathways are lined with a tropical like trees, some of them jack fruits, palms, etc. 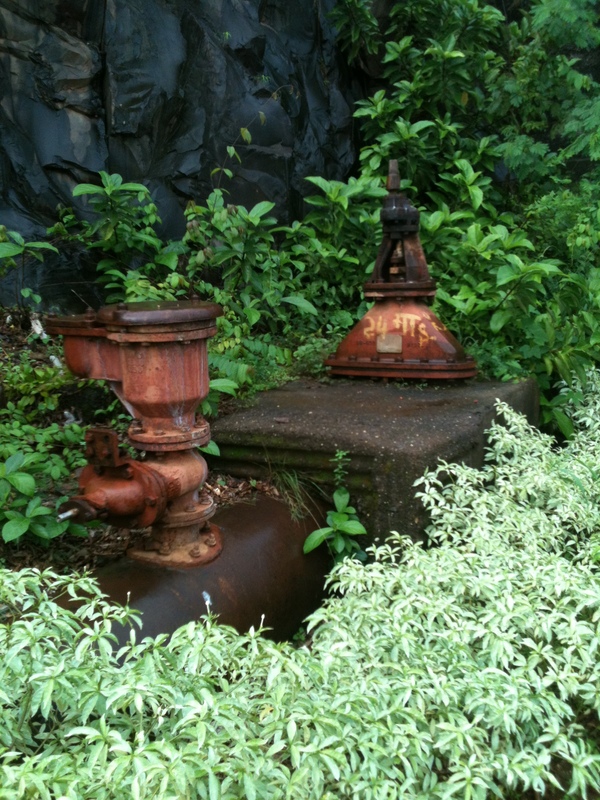 There are remnants of pumping equipments located at various corners in the garden. Some of these rusted valves are spewing out water from its riveted joints. The majestic basalt outcrop dawns on one side of the park. Wild ferns and parasitic creepers adore them just for this season. Access to this area was denied, I guess the actual reservoir might be on top of this. The play equipments are as usual and can’t expect anything more. The swings are broken and the slides have holes. Kids tie the chains of the swings and stand on them to have fun. The question is it really an act of vandalism or lack of maintenance? The young and the old bustle in this space. Love birds chime in the corners of the garden and under the trees. All in all this is a good place to be, hope you get time to stop by. This is indeed a treasure you brought out. Reminded me of my fathers narratives of various places to visit around the city. He used to have good personally experienced data, from the 40’s onwards. The images certainly build up the expectations of the place and honestly are quite unbelievable with the ones one expects in Mumbai. Already looking forward to visiting this place. Glad you liked the blog. It is indeed a nice place. Let me know when you go there. I have given my comments; but forgot to give my e.mail.